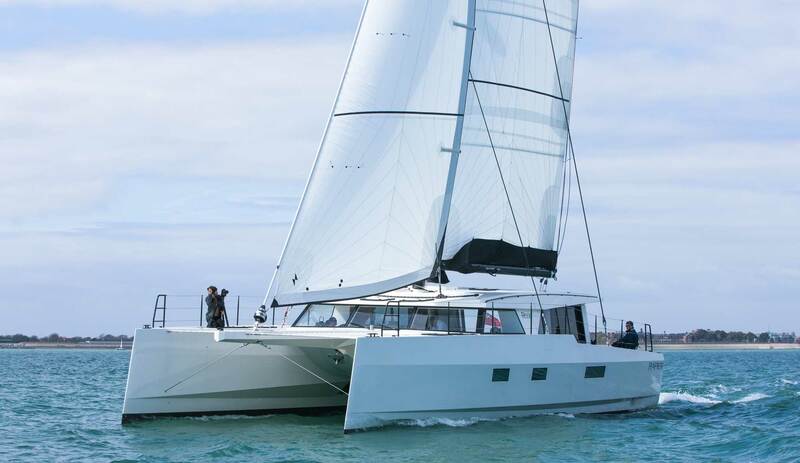 has delivered solid cruiser catamarans so far, whose sailing performance leaves desires open. This changed fundamentally with the new RAPIER Performance Range. 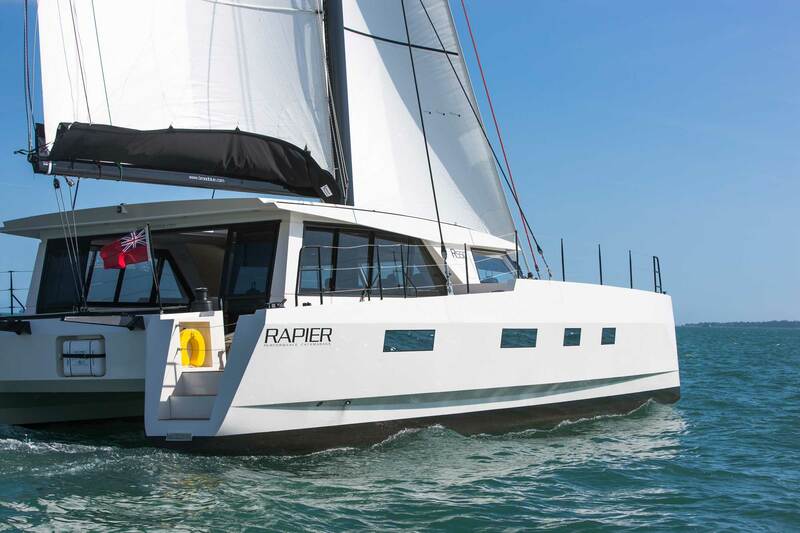 Darren Newton drew a 55 ‘performance cruiser, the RAPIER 550.
combines high sailing performance with a radically new design, yet a high degree of individual owner’s wishes can be implemented. 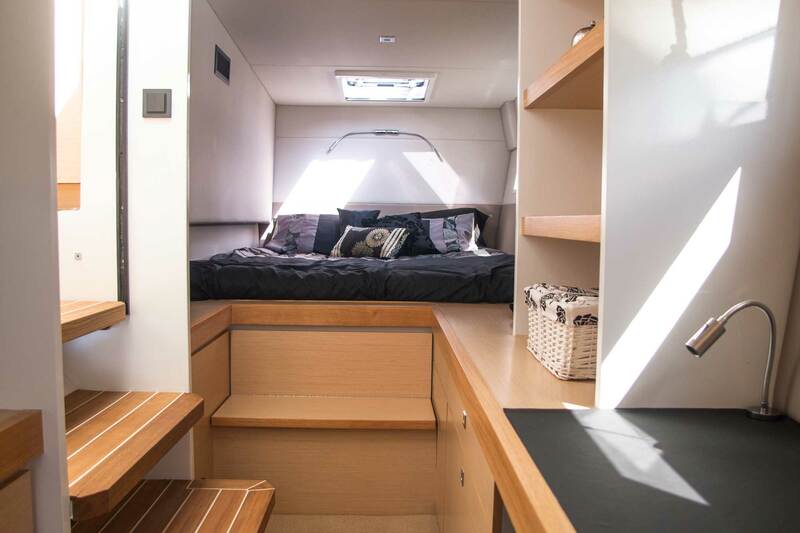 Intelligent electronics and navigation as well as a radically simple sail handling characterize this multi as well as the creatively modern interior. 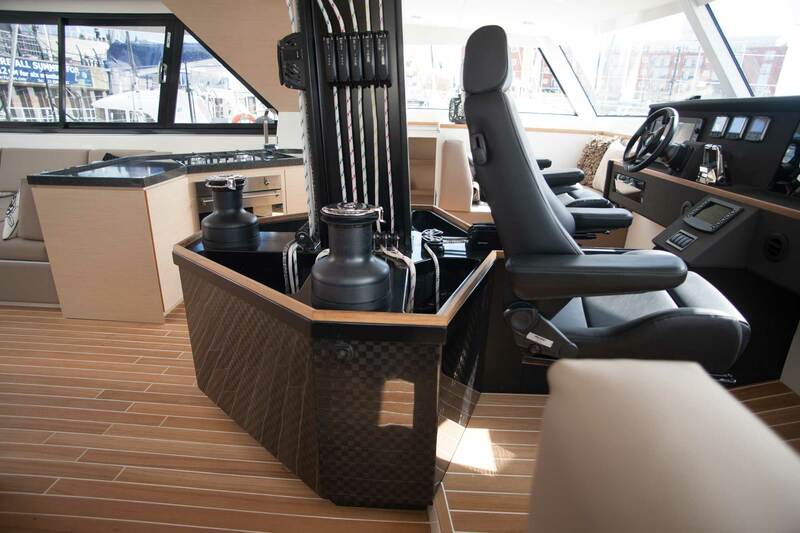 Of particular note is the central control area inside the structure, with the traps, pods and lines, all routed to the stoppers and winches around the mast. 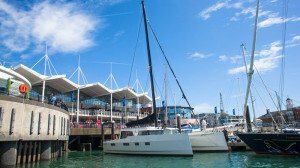 Thus, all sailing maneuvers can be driven in the protection of the body. 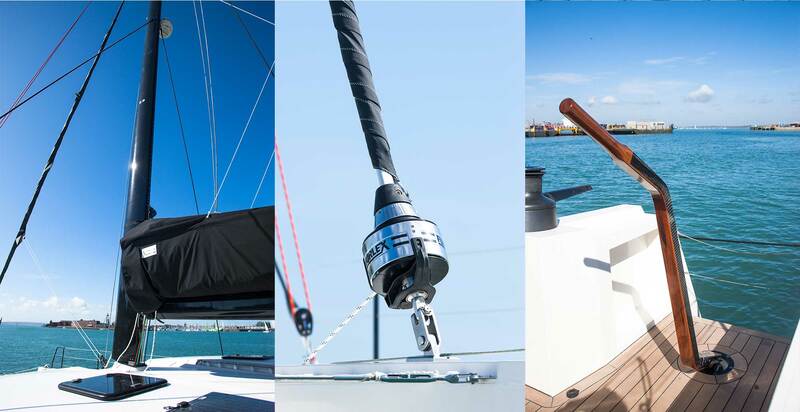 Together with the self-adjusting foresail, the Rapier 550 is therefore ideal for one-handed sailors or very small crews. 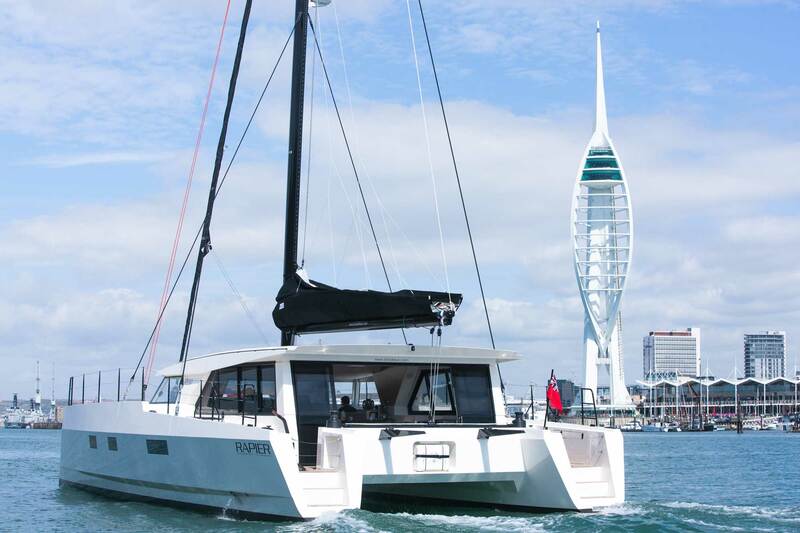 We were able to extensively test this extraordinary ship in the Solent and pass on our experience with the Rapier 550 to potential interested parties. Read a review in Multicoques Magazine N° 166. 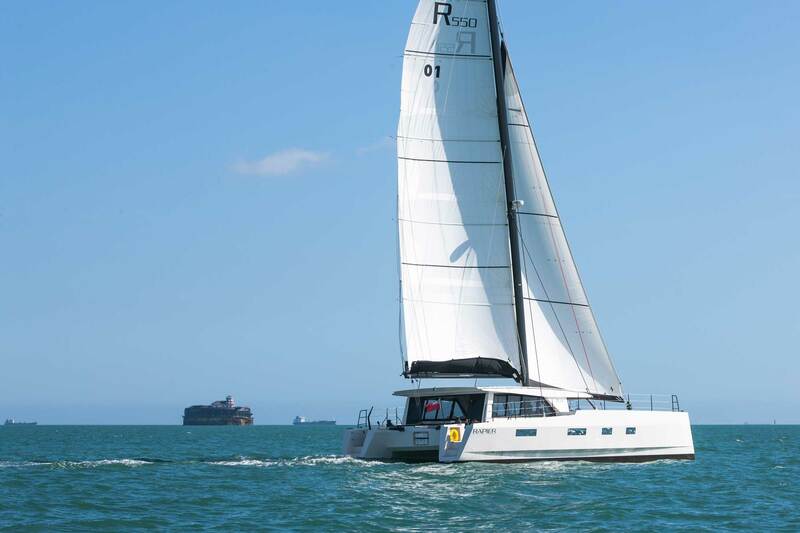 At the first start at an international regatta, the prestigious “Round the Island race” (once around the Isle of Wight), skipper Darren Newton was the first ship in his class to finish. 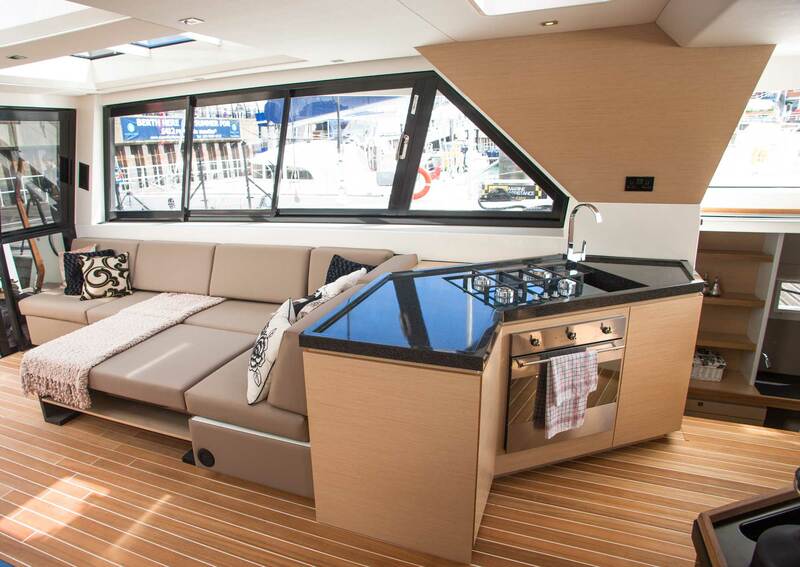 In the meantime, the RAPIER 550 has been nominated for the European Yacht of the Year 2015. 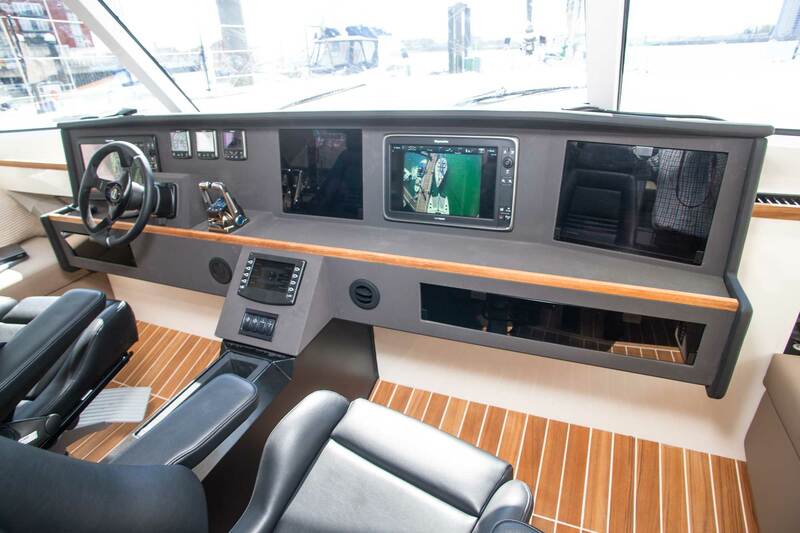 Do you have questions or would like more information about RAPIER 550?